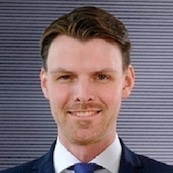 Dr. Tobias Brosze, born in 1979, studied industrial engineering in Karlsruhe and Lyon before obtaining his doctorate in production management at the RWTH Aachen University. Since 2012 he works for the Mainzer Stadtwerke AG. Since 2014, he has been the technical director and responsible for generation, grids, heat, broadband and various digitization and innovation projects.